The ArduinoTrack board is a complete APRS tracking system, designed for high altitude ballooning, and other applications where size, power considerations, and interoperability is important. This kit includes all of the components to assemble the ArduinoTrack standard board. By adding the HX-1 transmitter module, this kit can be used as the stand-alone tracker. Note, this kit consists of almost entirely surface mount components, many of which are very fine pitch. 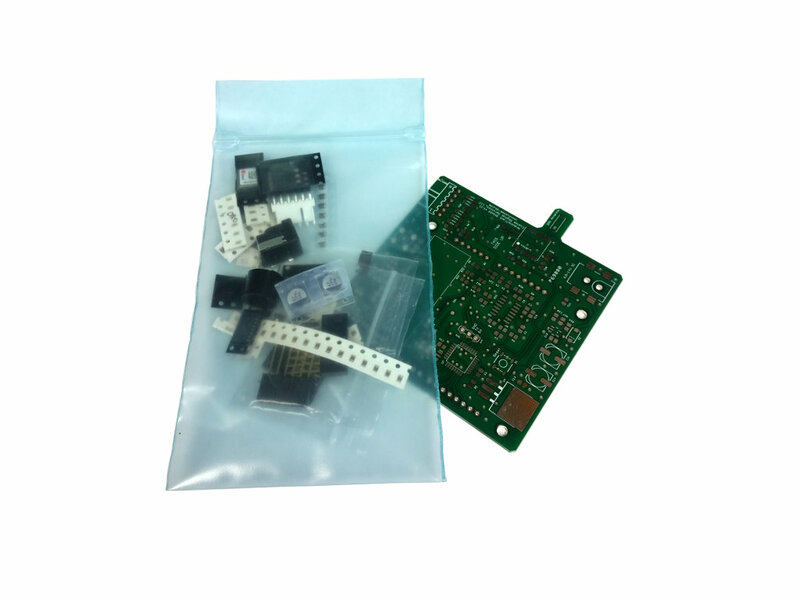 This kit is intended only for advanced electronic enthusiasts with SMT assembly experience. Solder paste, a reflow oven and/or a hot air rework gun, a fine-tipped soldering iron, and other miscellaneous soldering tools and supplies are required to assemble this kit.